Property Management of Idaho provides full service property management for both business and residential rental properties, including single family homes, town homes, duplexes, triplexes, four-plexes and apartments. 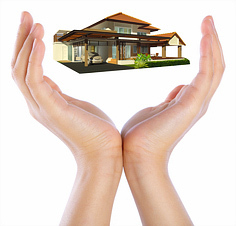 We do all the work, so you can relax and enjoy the benefits of owning an investment property. Say goodbye to stress and worry ... just relax and enjoy your investment. From placing and retaining tenants to managing the continual care of your property, you can trust the professional integrity of Property Management of Idaho. The knowledge and experience of our team maximizes your property income stream and return on investment, increasing both your property value and equity. Property Management of Idaho provides all advertising, performs all showings, and does a meticulous screening of each applicant to ensure they are the best fit for your investment property. We believe in preventative maintenance; keeping a watchful eye on your property and fixing small problems before they become big ones. We are passionate about what we do and take a sincere interest in each property - no matter the size or income level. We care about your tenants too and consider their contentment to be a valuable asset to your investment.